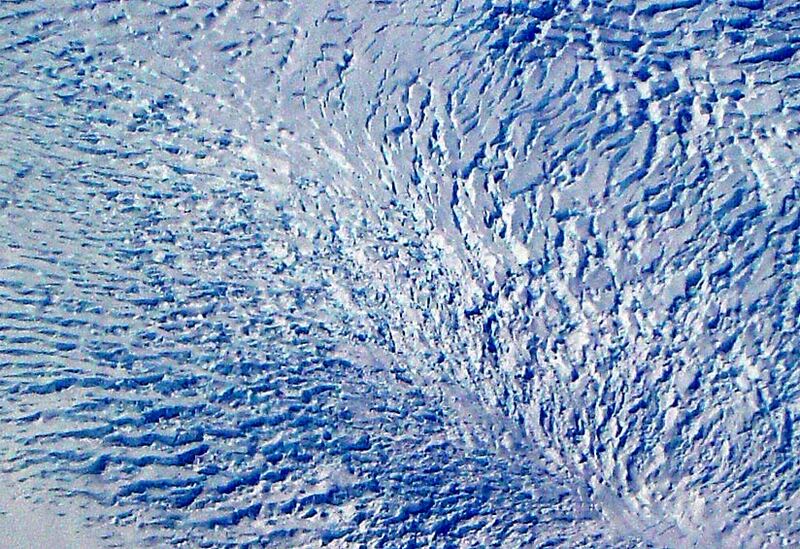 Crevasses in glaciers on Greenland, viewed from 35,000' elevation. Photo by Reiner Stenzel. 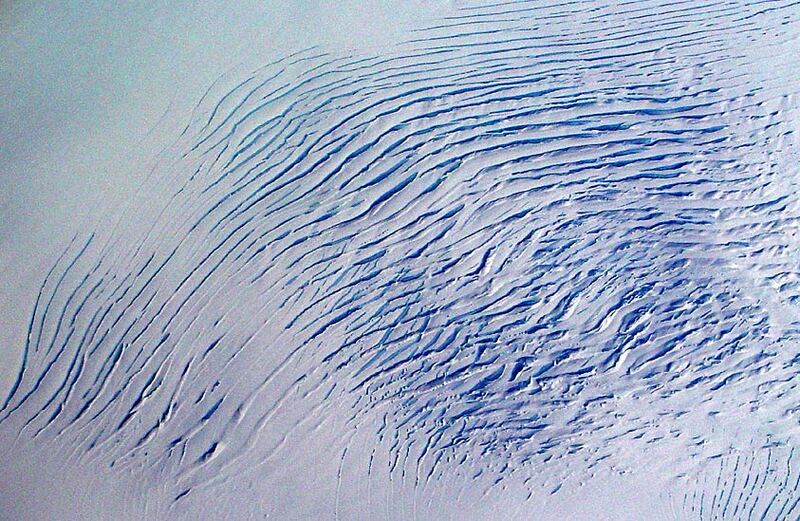 Irregular patterns of crevasses on glaciers. Photo by Reiner Stenzel.